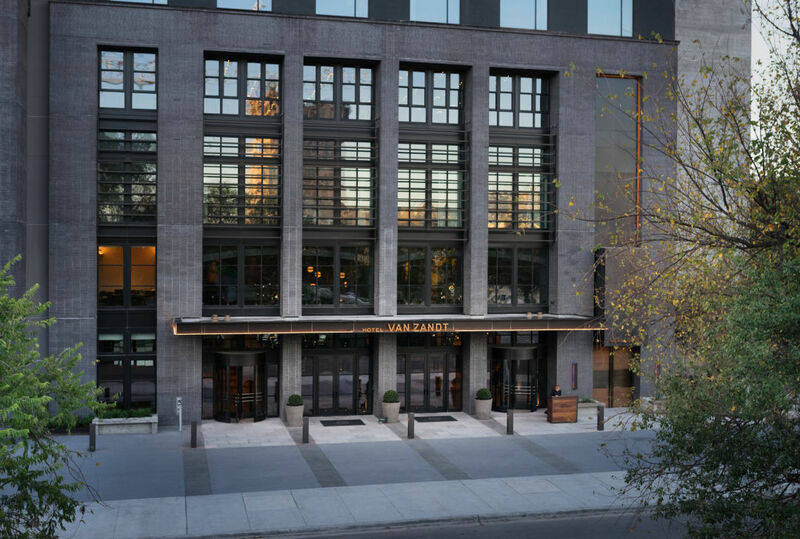 The Hotel Van Zandt is a new boutique luxury hotel in Austin's Rainey Street district. "I'm in the lobby, I'll meet you in the bird/record player corner," said the text. As you can surely tell, I was in Austin. There is not another city south of Portland where such a sentence is possible. 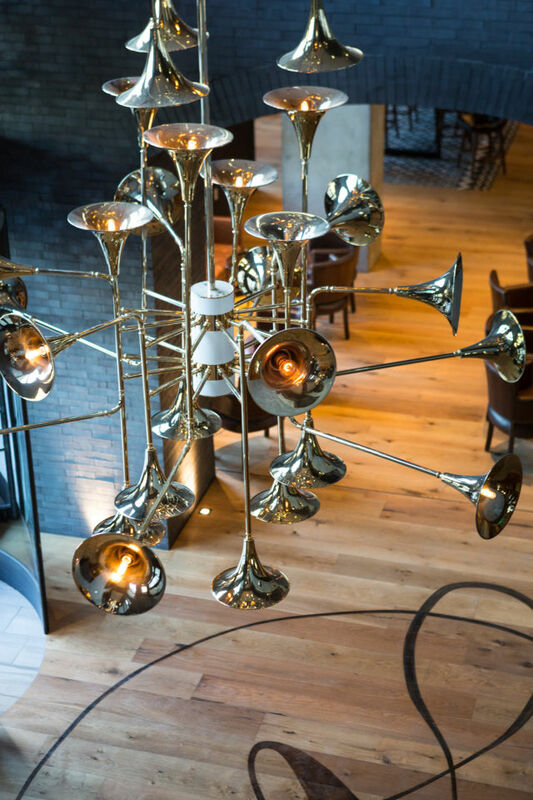 The excuse of a mini-family reunion (cousins only, bar crawl mandatory) gave me an excuse to check out the Hotel Van Zandt, a new luxury boutique hotel in Austin's über-hip Rainey Street district. 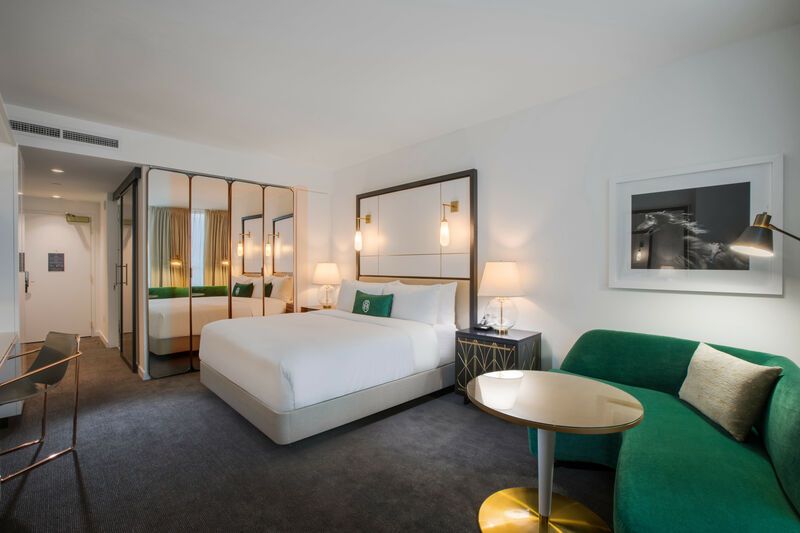 It's set close to the downtown convention center area, but the hotel still juts up a bit jarringly compared to the quaint bungalows that have been converted into juice cafés, twee shops, and brunch hangouts on the adjacent block. Of course, what looks obtrusive from an adjacent block looks very different from a guest room on the eighth floor, where being in the only high-rise in the area means panoramic views of the adjacent Colorado River. If I wasn't a guest, I could imagine resenting this encroachment of fancy-ness into an area that otherwise encapsulates the quirky-cool-but-clean-enough-for-when-your-parents-visit-from-Westlake type of Austin look, but there's another upscale apartment complex rising just a block away, and the Hotel Van Zandt is, at minimum, way cooler than an apartment complex. If anything is "ruining" Rainey Street, it's the fact that there's a line around the corner on weekends to get into a bar across the street whose entire schtick is based on it being constructed out of shipping containers. Oh, Austin. The instrument-inspired light fixtures in the lobby. 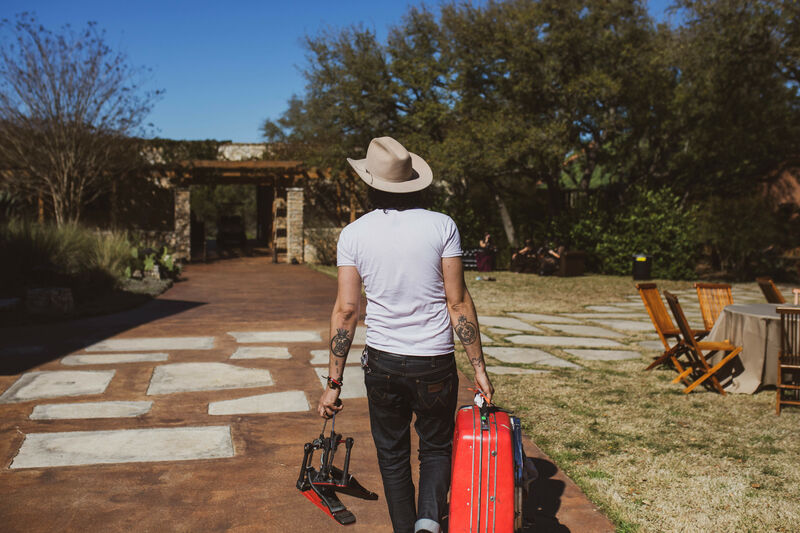 What I like about Hotel Van Zandt is that it doesn't try to capture that whole "Keep Austin Weird" vibe; instead it uses its music legend namesake as a jumping off point to present a hip version of a luxury hotel. 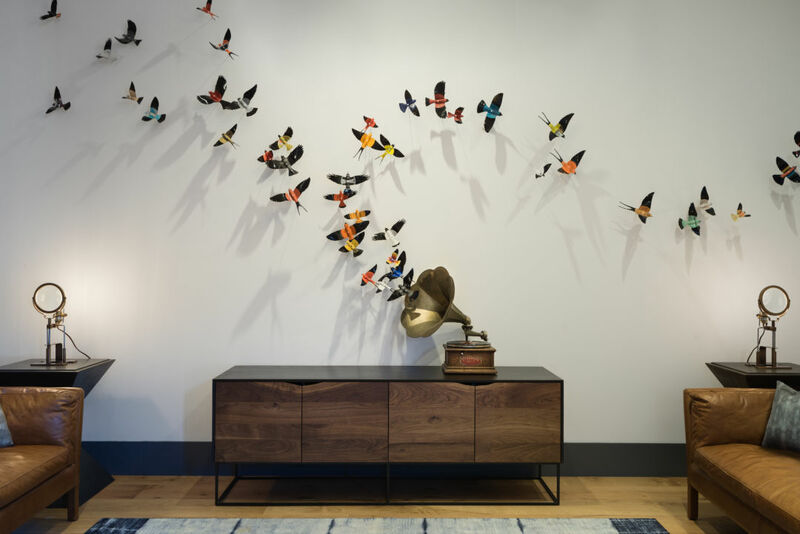 Light fixtures in the lobby are designed to look like trombones and other brass instruments, and the aforementioned birds are made out of old records themselves, strung along a wall above a phonograph in a lounge-y corner. Up in my room, a vintage sheet music notecard was framed in the bathroom; an umbrella to borrow was packaged with a quote from Dolly Parton. 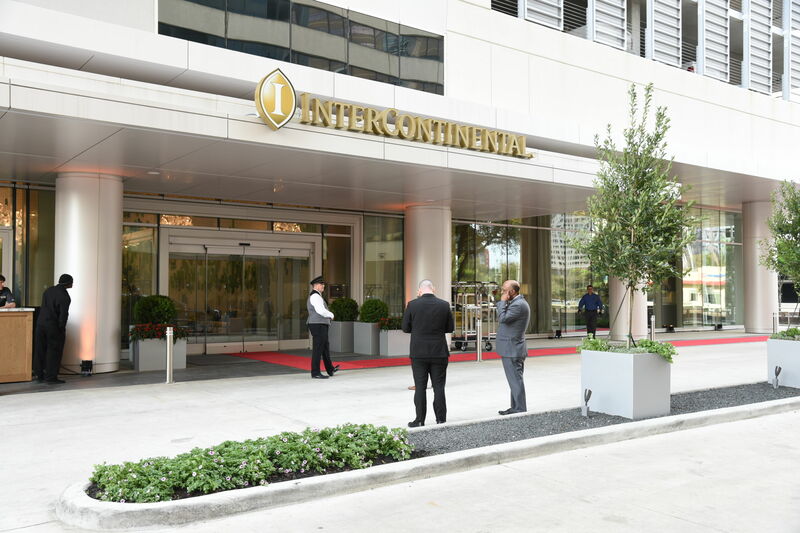 Considering how frequently hoteliers interpret "incorporate Texas style" to mean "decorate with cowhide," it was great to see Austin's personality expressed in a way that feels much more relevant. The focus on music also extends to myriad playlists throughout the hotel. I found myself chatting with the hotel's music director, who mentioned that in addition to playlists in the elevator bank and lobby that change throughout the day, anticipating guests' moods, there's also separate playlists for the bar and the pool deck. The pool has its own underwater playlist too, although since the hotel opened in November, she doubted anyone had heard it yet. The design of every public space is flawless and undeniably cool, mixing capacious leather sofas with mid-century modern chairs and industrial elements. In Geraldine's, the fourth floor restaurant and bar that's named after a famous Austin chicken (yes, seriously), I found myself perching on a vintage pommel horse with a drink in between sets from a local band on Saturday night. 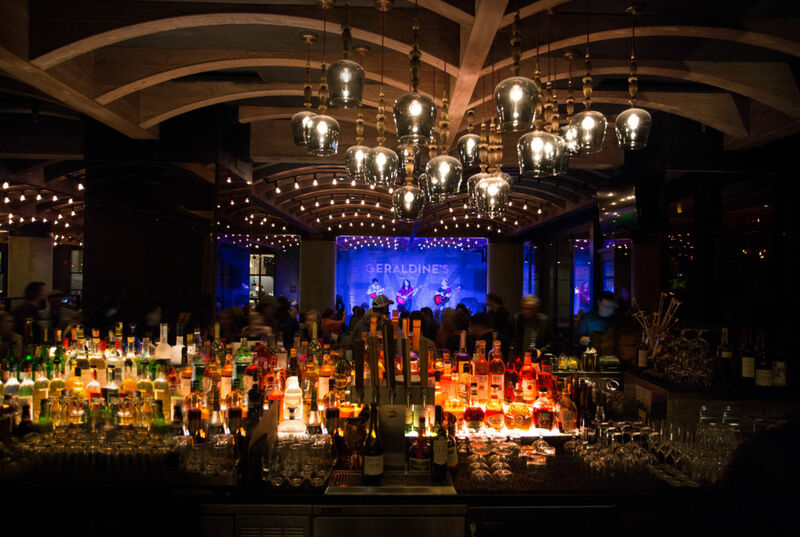 Geraldine's has joined the rest of the Rainey Street bars to become a popular hangout—the direct elevator from the exterior of the hotel helps, I think—but hotel guests have reserved seating, which is a pretty sweet perk. Geraldine's, which hosts local music performances most nights, is popular with locals, but unlike Austinites hotel guests don't have to show up early to get a good seat. The other perk I liked was free bikes available to borrow in the lobby. Despite my late night, I woke up early, grabbed a latte from the hotel's casual café on the first floor and hopped on one of them, heading towards the trails along the river. (Pro tip: drink your latte before attempting to ride a bike. These two things do not mix.) 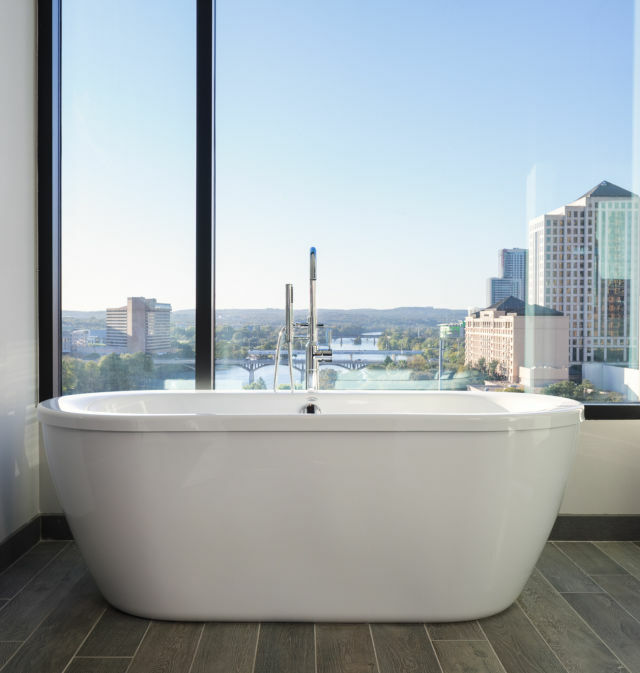 I got back just in time to grab a shower—although the bathtub has better river views—and walk down Rainey for an epic group brunch at Bangers. 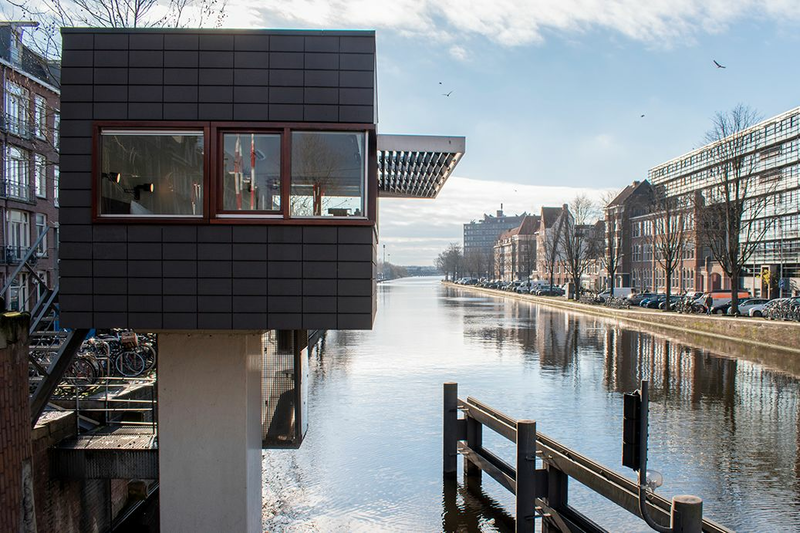 It's a morning that seemed to be designed, or at least optimized, by everything Hotel Van Zandt has to offer. If that—plus a bird/phonograph nook—doesn't make it an authentic addition to the city, I don't know what would. Hotel Van Zandt, 605 Davis St., 512-542-5300, hotelvanzandt.com. Rooms start at $249.